MALL WALK s/t Cassette EP out October 14th. The MALL WALK tour only cassette EP will see a wider release via Vacant Stare on October 14th. In the meantime, you can pick up a limited edition purple copy at their shows starting tonight at the Rickshaw Stop in San Francisco. 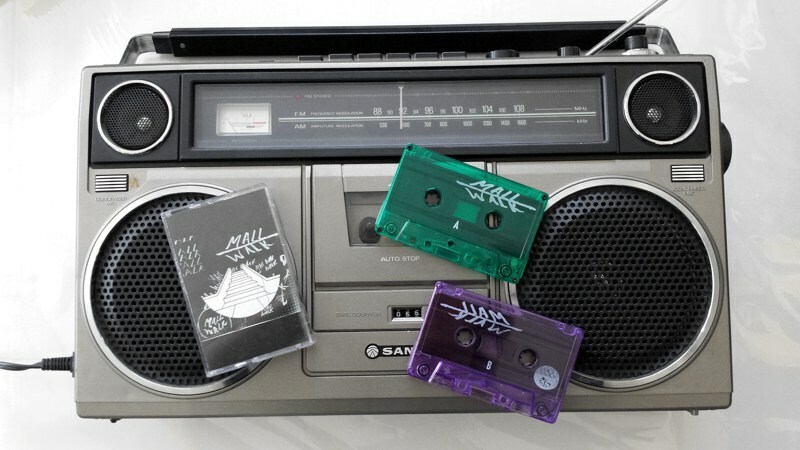 This entry was posted in Uncategorized and tagged CASSETTE, EP, GREEN TAPE, LIMITED EDITION, MALL WALK, OAKLAND, OCTOBER 14TH, PURPLE TAPE, SAN FRANCISCO, TAPE, VACANT STARE RECORDS on July 30, 2014 by vacantstarerecords.